When your day job takes you on a road trip to Louisiana, extending your trip to allow time for a weekend in New Orleans is a must. Am I right? 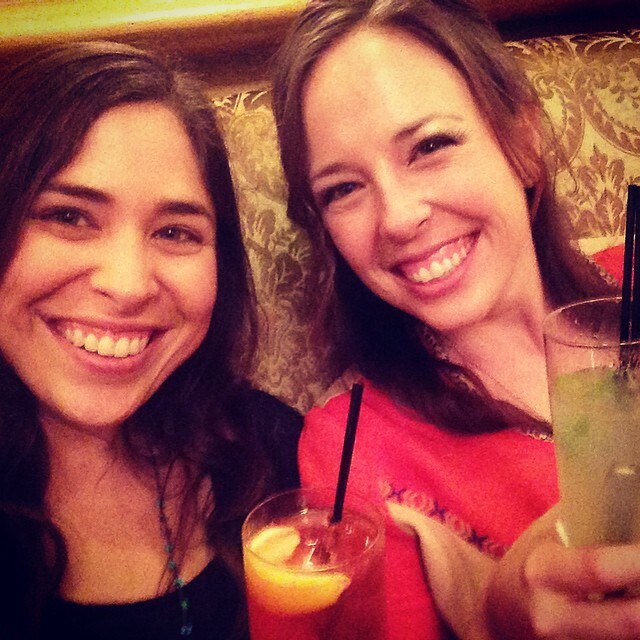 A couple of years ago I met up with one my best friends from graduate school in New Orleans for the ultimate girls weekend. Having only been there once before so I was determined to eat as much creole and cajun fare as possible before having to drive back to Indiana. If you have the chance to visit Nola with a good friend, go! No agenda needed. Seriously, we had no plans other than eating some delicious food and drool over the architecture in the garden district. Full disclosure: New Orleans isn't cheap and I personally like to spend a lot of dough on food and drink so I've always stayed wherever I can get a relatively inexpensive room in the French Quarter. I’ve stayed at the La Quinta Inn & Suites Downtown which is one of the cheapest options in the quarter plus free breakfast and a pool. I’ve also stayed at the Hilton in the Quarter several times. If you’re traveling on a budget, check out some of these deals. I love reconnecting with old friends when I'm on the road so I didn't hesitate to contact my friend Katie (aka KKP) one of my sorority sisters from Birmingham Southern College when we arrived. Katie is a Nola native and took us to this little gem in the Riverbend neighborhood. It is tiny restaurant but full of charm and delicious food. We hadn't seen eachother in eight years (whoa) so we were too busy catching up for me to take photos but remembered for dessert. It's a must. The Roosevelt Hotel has been a New Orleans landmark since 1893. Having undergone a major renovation post Hurricane Katrina, it is a must see. Grab a drink in the legendary Sazerac Bar. With original Paul Ninas murals, dark walnut bar, and glittering chandeliers, this stunning Art Deco watering hole is as famous for it's decor as its cocktails. If you can't find a seat in The Sazerac, grab a cocktail from the bar and wander around the first floor. *Another classic bar for cocktails is the Carousel Bar in the Hotel Monteleone. Built between 1722-1732, it is rumored to be the oldest structure used as a bar in the United States. 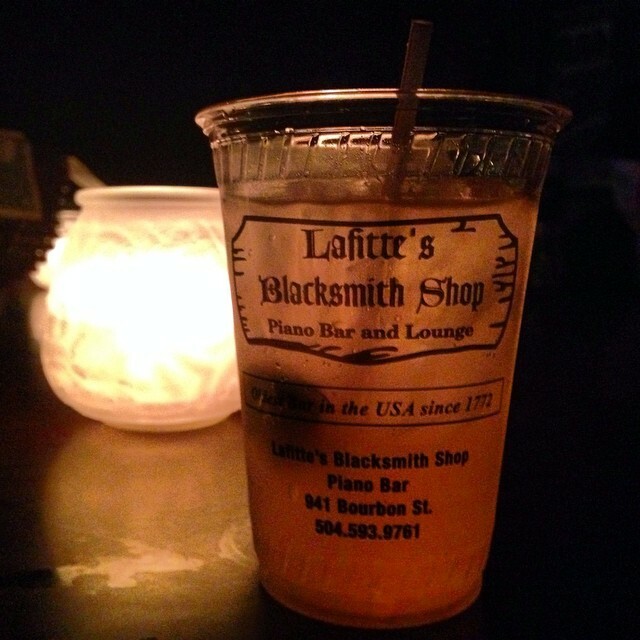 Grab a signature purple "drank" and sing classic tunes around a piano with 50 of your closest new friends. Cutest little cafe in the French Quarter. Located in Exchange Alley, it has a couple of tables inside right next to their kitchen but most of the seating is actually outside on the patio. Get the duck confit hash with grits and sweet potato biscuit. Magazine Street is packed with countless boutiques and vintage shops. Don't forget to stop by Sucre for something sweet. Favorite shop on Magazine has to be Lilli Vintage. It's hot as hell in New Orleans for much of the year but you can see so much most if you walk around, not to mention walk off all the delicious food you're eating. I love wandering around the Garden District to swoon over some of the most beautiful houses in the South. After a long afternoon of shopping, Claire and I stopped here for a rest during our walk from Uptown back to the French Quarter. Peche is the latest from restauranteur and James Beard award winner Donald Link of Herbsaint and Cochon. It's a beautiful space with an open kitchen serving up a variety of seafood. We sat at the bar and grabbed a couple of beers, fish sticks and hushpuppies. Would love to go back and try the raw bar menu. This place is an Uptown institution and famous for their burger and fries. The building was built 100 years ago as full service grocery store with tea, coffee and butter as the specialties. 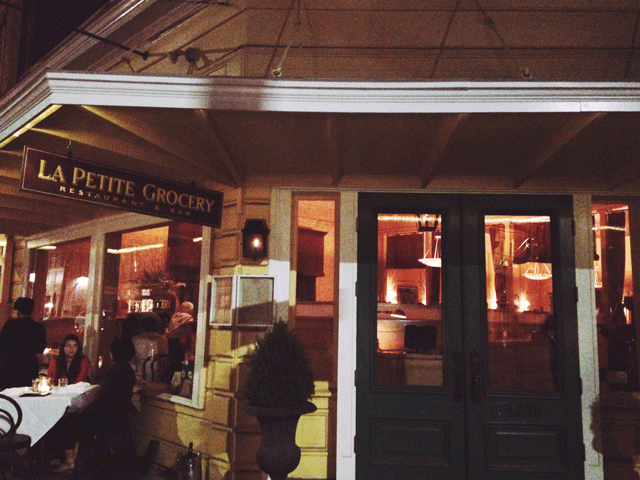 After years operating as a general store, the restaurant Le Petite Grocery opened in 2004. With incredible service, atmosphere and food, dining here was one of the best restaurant experiences I've ever had. And yes I ordered the burger and fries. Before you head out of town, Cafe Du Monde really is a must. Enjoy a cafe au lait and a mound of piping hot beignets covered with an absurd but delicious amount of powdered sugar. If you've been to beignet paradise or just want to stretch the weekend even more? Enjoy a leisurely breakfast at the New Orleans classic, Brennan's. They have the most incredible eggs benedict. Let's be real... a visit to New Orleans pretty much revolves around eating and drinking. Grab your girls, hit the road, and enjoy! Don't forget to make some reservations though. 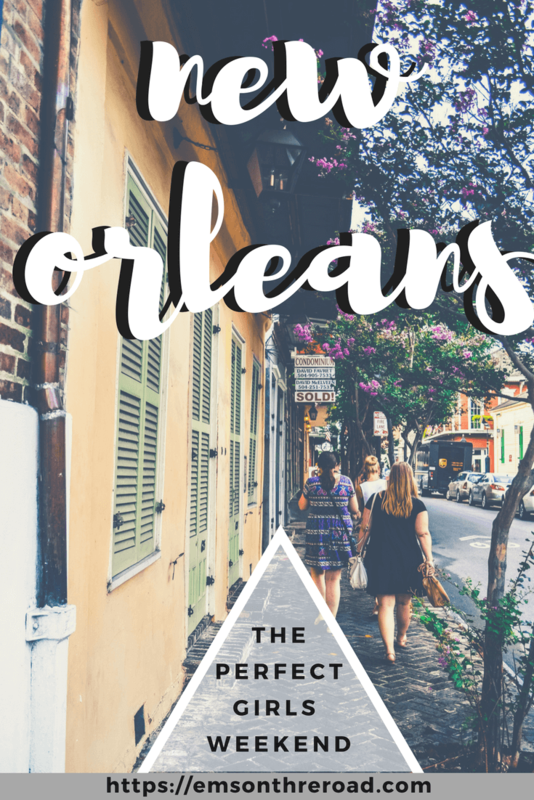 Have you been to Nola? What are your fav places to go in the Big Easy? Sound off in the comments.